and he found a butterbur flower stalk. He took the butterbur flower stalk house from garden to show me. 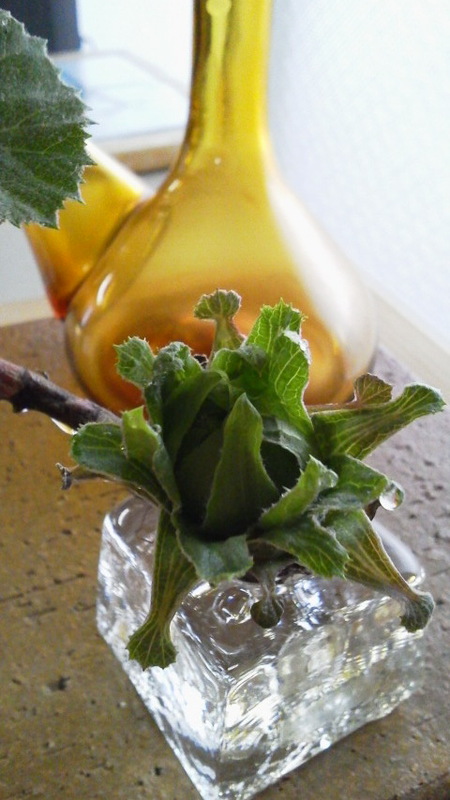 The butterbur flower stalk was still tough. And then I put it in glass. I decided that I was looking forward to spring with watching it.